The Keto Pancake Sandwich is one of the most popular recipes on the website. Everyone so far that’s tried it has absolutely loved it! The only downside to it is that it takes a little while to prepare and make. Today, I wanted to bring all of the flavors of that exact breakfast and bring it to you in the form of a quick, easy, and simple way to prepare. 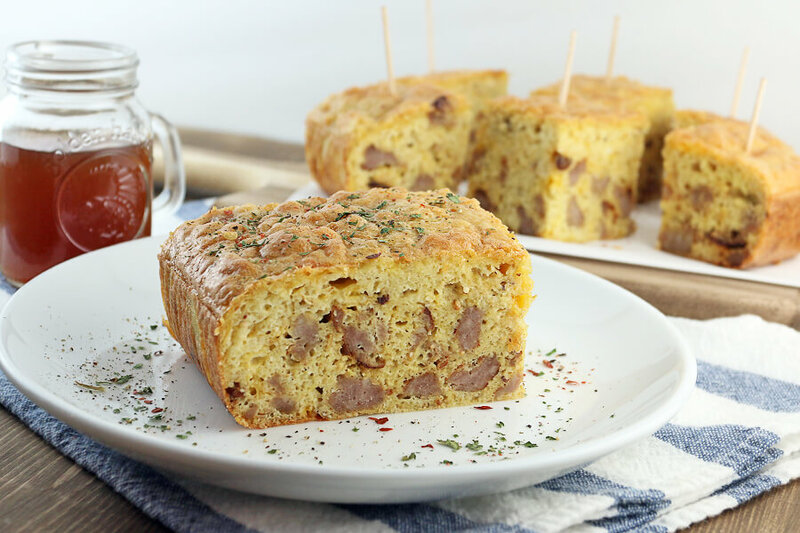 A fun & easy breakfast casserole that has all the flavors of a Sausage McGriddle® sandwich, with the ease of a one dish casserole. I know many of you guys are not morning people, having to leave for work or school when it’s still dark out. This is yet another awesome meal that can be made ahead of time – grab and go straight out of the fridge right before you leave. It can be enjoyed both hot or cold, but I definitely prefer it cold. On top of that, it’s even an awesome dinner on the go! Who doesn’t love breakfast for dinner? 1. Pre-heat oven to 350F. 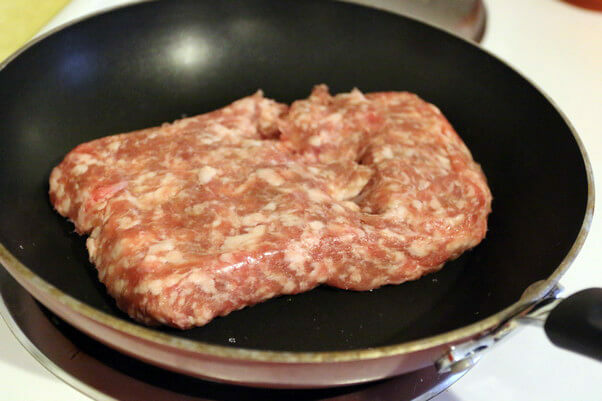 Put a pan on the stove over medium heat, then add the breakfast sausage. As it cooks, break up with a wooden spoon and continue to cook until browned. 2. 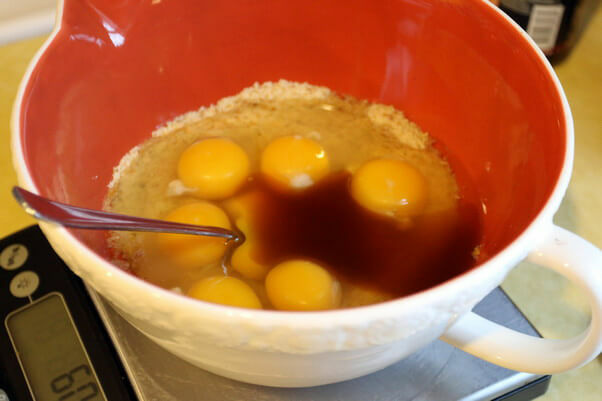 In a separate bowl, measure out all dry ingredients, then add the wet ingredients. Only add 4 tbsp. of the Walden Farm’s Syrup, as we’ll be using the other 2 tbsp. to top everything off. Mix together well. 3. Add in the cheese to the mixture and continue mixing again. 4. Once the sausage is browned and somewhat crispy, add everything (including excess fat) into the mixture for the casserole. Mix together well again. 5. 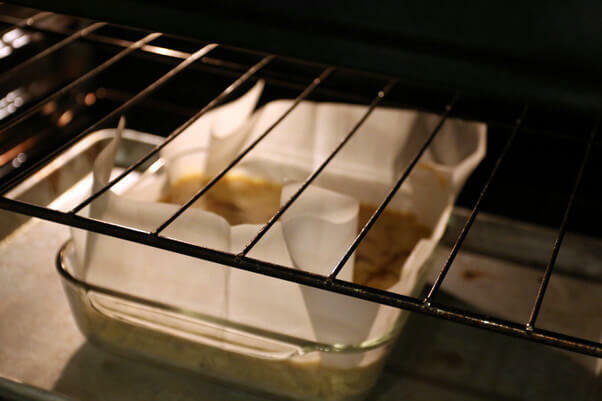 Line a 9×9 casserole dish with parchment paper and then pour the casserole mixture into the dish. Use 2 tbsp. Walden Farm’s Syrup drizzled over the top for extra maple flavor. You can use practically any larger casserole dish you’d like too (as it’s rather thick). Just reduce the cooking time slightly if you are using a larger dish. 6. Place in the oven and bake for 45-55 minutes. You want the inside to be completely cooked through. 7. Once done, remove from the oven and let cool. 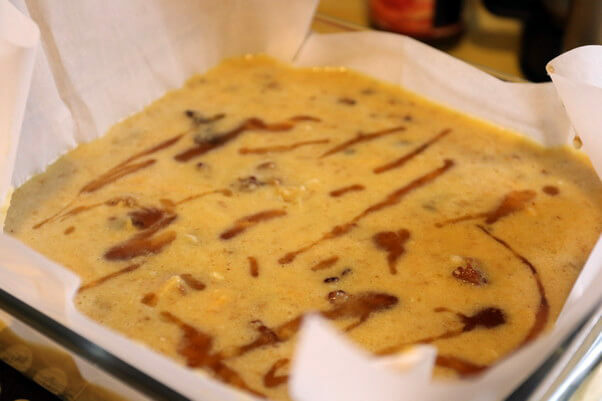 Remove the casserole by holding on to the edges of the parchment paper and lifting out. 8. Slice and serve. 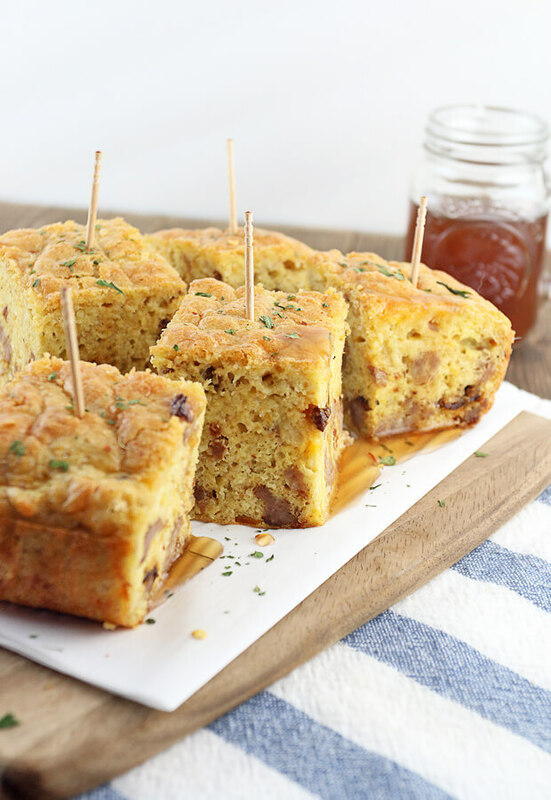 Feel free to drizzle a little bit more syrup over each one, or serve with a little bit of Reduced Sugar Ketchup. Enjoy! 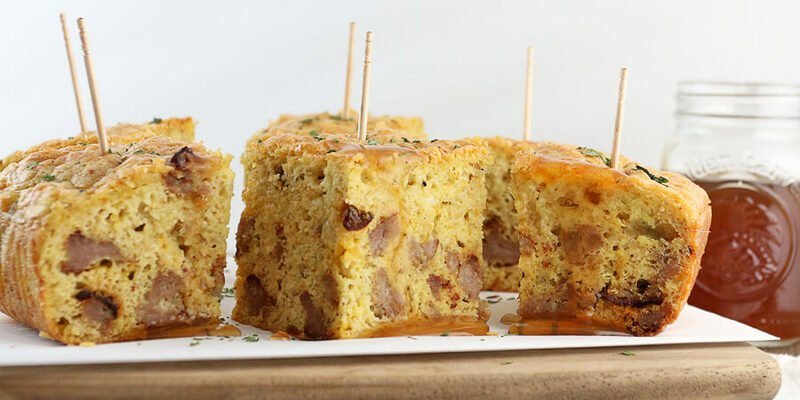 This makes a total of 8 servings of Low Carb Mock McGriddle Casserole. Each serving comes out to be 447.63 Calories, 36.04g Fats, 2.87g Net Carbs, and 26.16g Protein. Pre-heat oven to 350F. Put a pan on the stove over medium heat, then add the breakfast sausage. Break up while it's cooking. 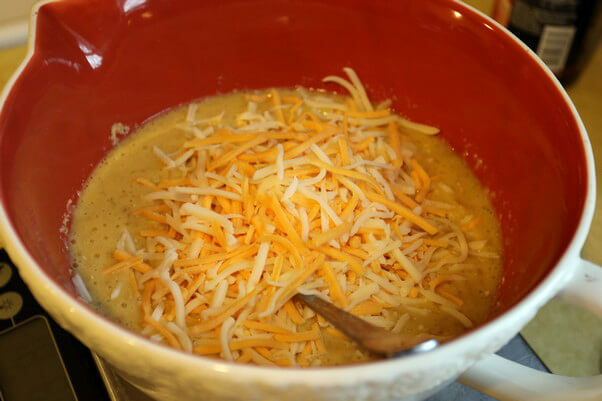 In a separate bowl, measure out all dry ingredients (including cheese), then add the wet ingredients. Add 4 tbsp. syrup and mix together well. 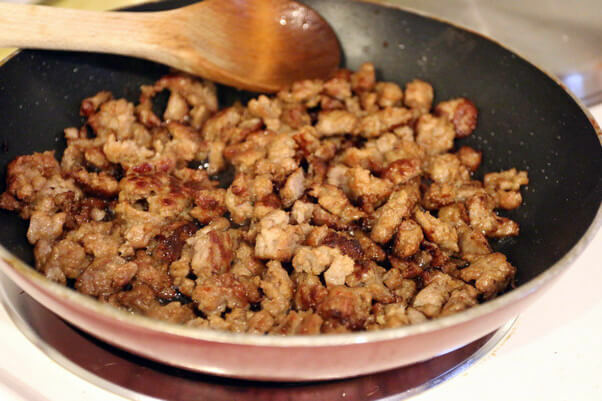 Once the sausage is browned and somewhat crispy, add everything (including excess fat) into the mixture and mix again. Line a 9x9 casserole dish with parchment paper and then pour the casserole mixture into the dish. Use 2 tbsp. syrup drizzled over the top for extra maple flavor. Place in the oven and bake for 45-55 minutes. Once done, remove from the oven and let cool. 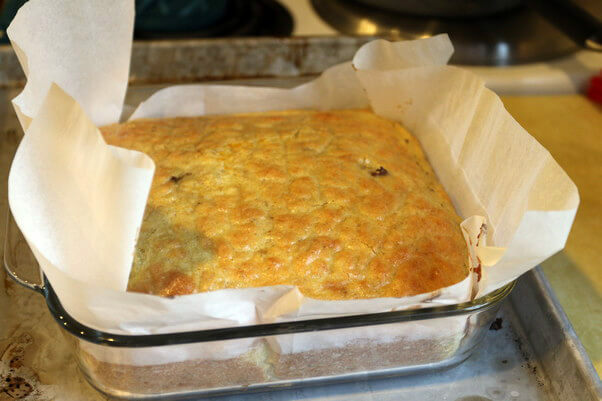 Remove the casserole by holding on to the edges of the parchment paper and lifting out.